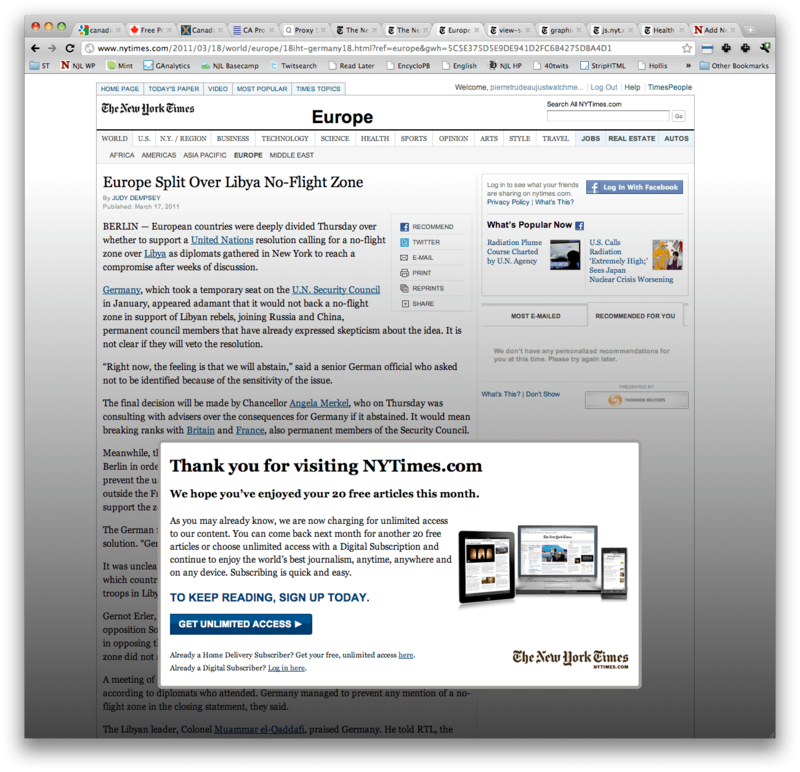 When you read the New York Times online you are limited to ten articles per month. I believe this is a terrible practice in a shortsighted desire for profit. It hurts the business, and is terrible for informed citizenry. This morning I was going to quote an article from the New York Times that was about a specific article (American soldiers, military drugging and the relationship with Post-Traumatic Stress Disorder.) I thought it would be interesting to join in the conversation about this topic by re-blogging a key argument from the article. Screw you New York Times! This is the internet era where advertisers ask about things like “reblogging” and “brand loyalty” right? How is this possibly good for their business? More importantly, how terrible is limiting access to information? It’s bad for readers, reporters, other news agencies, and of course limits the participation in important conversations. The paywall is bad for citizens, bad for communities, bad for working people and of course, bad for the New York Times!